We are the only youth softball program for girls from 8 to 18U serving Lancaster County. 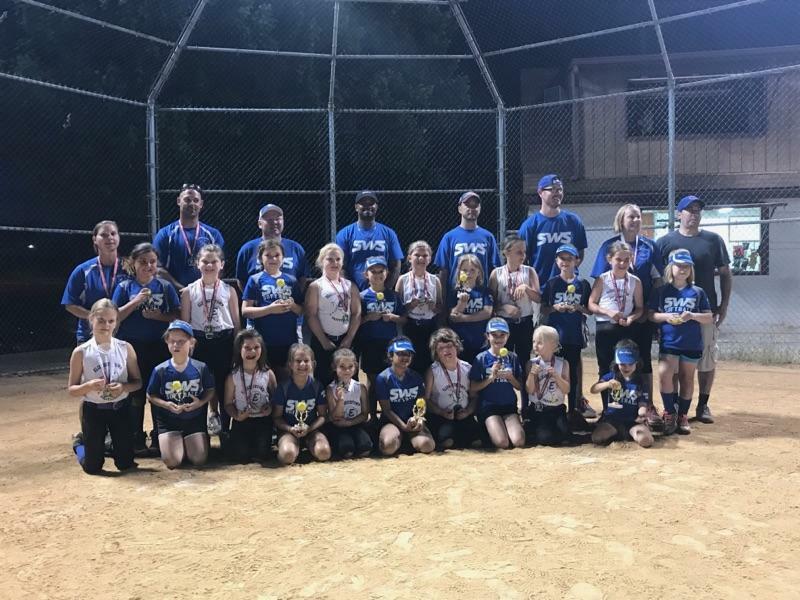 At the January 2017 meeting, the existing association members unanimously agreed to combine with the LANCO youth softball association. There are now 18 organizations that are part of our group as we serve to provide a fun, educational and competitive environment for the girls to learn and enjoy the benefits of playing softball. Thursday 4/4 - Coach Meeting @ Hempfield High School - 200 Stanley Ave in LGI Room 2. Enter in the front of the building from Stanley Ave and follow signs to the LGI Rooms. Team Rosters and Player Waivers are Due by this date and at least 1 Coach from each team must attend, you will also need to fill out the USA Softball Team Registration Form (ASA is now USA Softball) - Rules and Game Balls will be handed out, Schedules are available online and can be printed/linked from this web site. Season will start the week of Monday 4/15. Playoffs will likely start Friday June 14th and end with Championship Games on Thursday June 20th (Rain Date Friday June 21st) at the Etown Rheems Fields (Wenger Feeds Athletic Complex). Final end of season meeting will be determined for August or September depending on availability. There may be an email vote for proposed rule changes. Final Team Registrations due by Friday 2/16 so schedule can be created. No payments or rosters needed just yet but we need to know Team Name, Division Level, Field(s) Available and etc. Use the link here to register your team. Possible 18U will begin in Mid June after playoffs are done. Softball Night @ Lancaster Barnstormers will be Wednesday 6/13. Registration for 10/12/14U teams are due by August 10th. Games will be double headers begininng at 1PM on Saturdays or Sundays. Contact Dave Duckworth 717-682-7516 or if you have any questions. Franklin & Marshall College Softball All-Skills Clinic (Ages 8-14) on Sunday January 21st 2018 from 10 AM to 1 PM at the Alumni Sports and Fitness Center. Complete and submit the registration form here. Thursday 4/5 - Coach Meeting @ Hempfield High School - 200 Stanley Ave in LGI Room 2. Enter in the front of the building from Stanley Ave and follow signs to the LGI Rooms. Rosters and Player Waivers are Due by this date and at least 1 Coach from each team must attend, you will also need to fill out the USA Softball Team Registration Form (ASA is now USA Softball) - Rules and Game Balls will be handed out, Schedules are available online and can be printed/linked from this web site. Thursday 8/3 - starting at 6PM @ Millersville Brethern In Christ Church located at 3116 Blue Rock Road, Lancaster PA, 17603. Social Hour will be from 6 to 7 PM with snacks and refreshments, then the board meeting will begin at 7 PM. This is the last meeting of the season where we will discuss officer nominations for 2017, season wrap up, potential rule changes, fall ball and schedule for 2018 season. ONLY the WINNING Team will enter the Score Results, if the score is tied the HOME team will enter results. Sign In at the Top Right of the page using your email address and password. Select TEAMS from the Menu on the Tabs at the Top of the page. Select RESULTS from the Menu pages on the left. Enter the score or any additional result changes. Click "SUBMIT" to confim changes. Final Team Registrations due by Thursday 2/16 so schedule can be created. No payments or rosters needed just yet but we need to know Team Name, Division Level, Field(s) Available and etc. Use the link here to register your team or download the Team Registration form in Documents Tab and submit via email to League Officers.